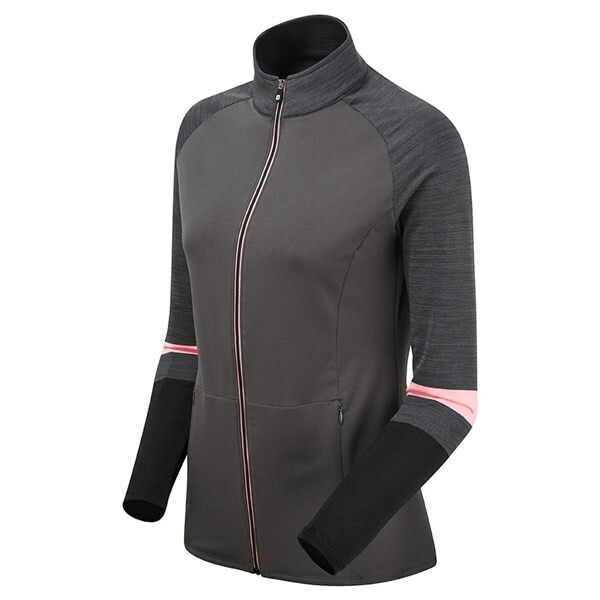 The FootJoy Ladies French Terry Chill Out Full Zip Jacket has been designed to provide incredible comfort, warmth and style. FootJoy have used a stretch fabric on the arms and around the neck to enhance comfort, movement and mobility in all directions. 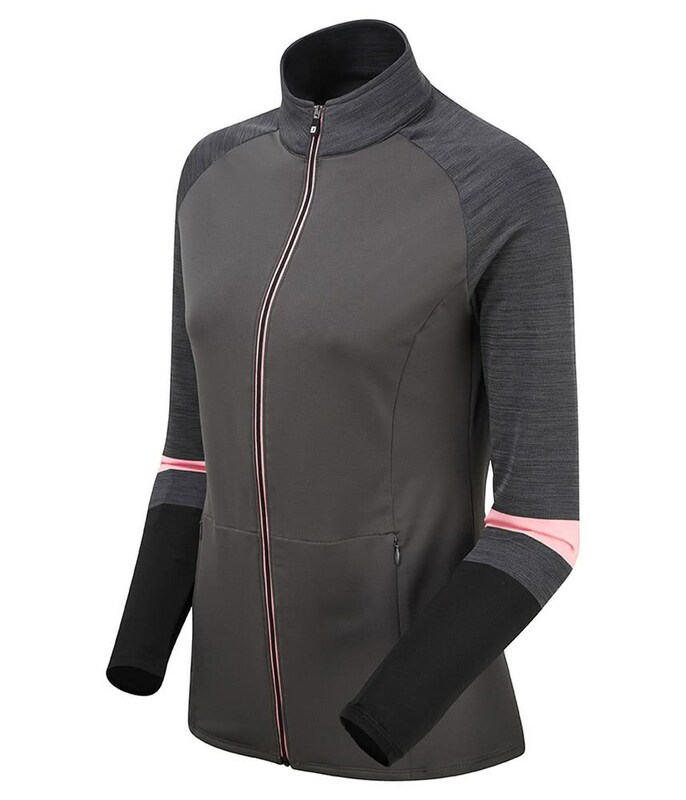 A heavier fabric has been used on the body to provide the necessary warmth and breathability that will enhance your levels of performance on those chilly days. The full zip design allows for easy on/off and to provide excellent storage for your smaller accessories, FJ have added two side hand zippered pockets.